Item # 304682 Stash Points: 3,099 (?) This is the number of points you get in The Zumiez Stash for purchasing this item. Stash points are redeemable for exclusive rewards only available to Zumiez Stash members. To redeem your points check out the rewards catalog on thestash.zumiez.com. 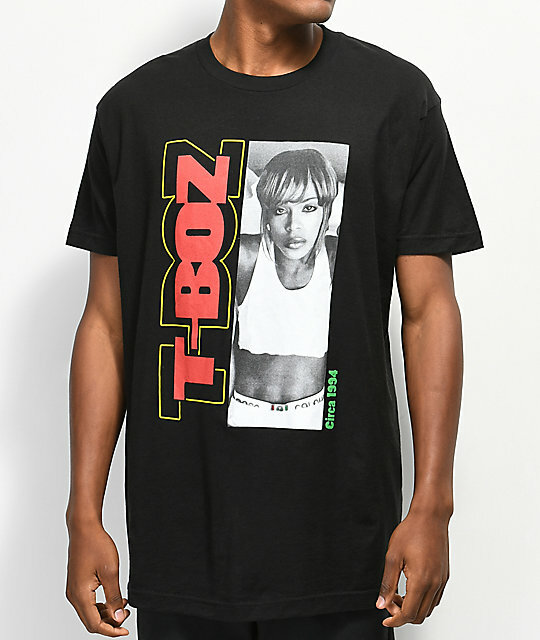 Represent a hip hop legend in the T-Boz Circa 1994 Black T-Shirt from Cross Colours. Miss Tionne Watkins, also known as T-Boz from the female hip hop group TLC, is featured on the front of this tee shirt in a black and white photo graphic. 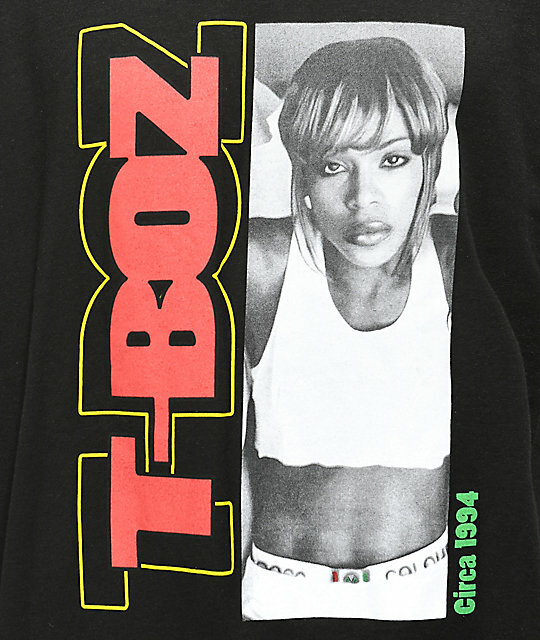 T-Boz Circa 1994 Black T-Shirt from Cross Colours. 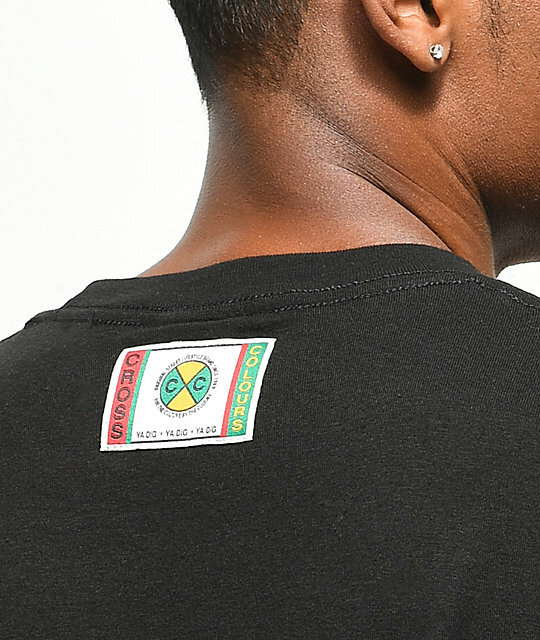 Embroidered brand tag on upper back.